A review in the journal Nature Climate Change, in which Frank Flechtner, Christoph Reigber, Christoph Dahle and Henryk Dobslaw from the Helmholtz Centre Potsdam German Research Centre for Geosciences GFZ and Ingo Sasgen from the Alfred Wegener Institute, Helmholtz Centre for Polar and Marine Research (AWI) participated, now presents highlights in the field of climate research based on GRACE observations. The greater the mass of an object, the greater its gravitational attraction. For example, the Alps exert a higher gravitational pull than the North German lowlands. When satellites orbit the Earth and fly over a massive region, they accelerate minimally when approaching it and slow down as they fly away. A tiny part of the gravitation emanating from the Earth is based on water on or near the surface in oceans, rivers, lakes, glaciers and underground. This water reacts to seasons, storms, droughts or other weather effects. 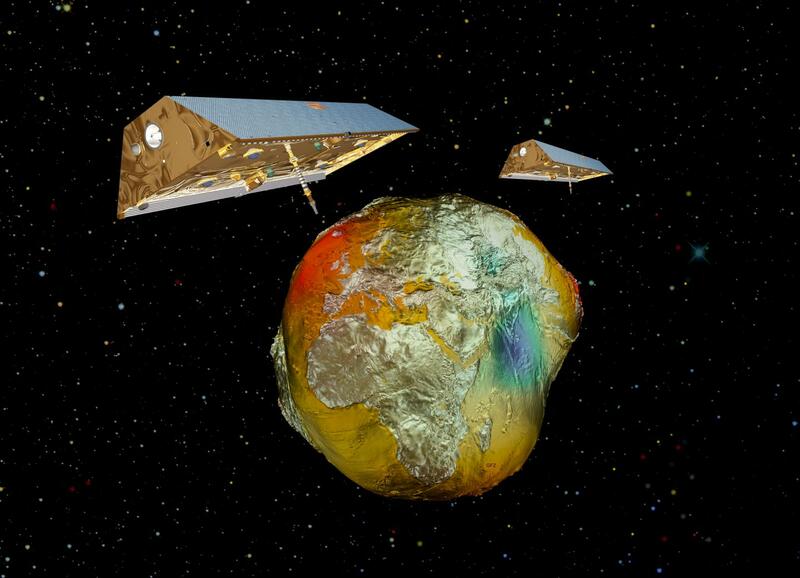 GRACE took advantage of the mass displacement of water by recording its effect on the satellite duo that orbited our planet 220 kilometres in a row. Microwaves were used to measure their distance. This distance changed over time due to the mass shift on Earth. From the data, the researchers then calculated monthly maps of the regional changes in the Earth’s gravitational pull and the causal changes in the masses on the surface.